In many cities, decision making has traditionally been a top-down process: policy makers regulate, citizens follow. In Brazil, for example, many citizens only participate in local governance every four years—by voting in elections. After candidates are elected, citizens have little opportunity to contribute to public policy or learn about what elected officials are doing for their city. Public participation is about pushing back against this top-down hierarchy and ensuring that policy choices address real needs. In reality, however, civic engagement is often perceived by governments as nothing more than a matter of compliance. Indeed, public hearings are too often held with little or no attention to what citizens actually say in them. As a result, genuine concerns are left unanswered, and many citizens find themselves removed from local decision making. Effective policy making requires a meaningful dialogue between citizens and local decision makers. To ensure that this dialogue is productive, cities need participatory processes that are inclusive, accessible, and feedback-oriented. During my interviews in Brazil, many citizens reported a lack of genuine efforts by the government to encourage public participation. For example, many formal public forums, like public hearings, are too strict; informal public forums, on the other hand—such as community gatherings—are not organized by official stakeholders and lack legitimacy. Indeed, participation processes such as public hearings fail to adapt to the shifting realities of the population, and don’t consider local culture and values. Finally, local policy makers often lack both credibility and a diversity of perspectives. (1) Inclusiveness & Diversity: Local governments need to open their doors to the public when planning policies. Furthermore, the decision-making process should include a diversity of stakeholders. For example, when evaluating changes to housing policy in dense areas, individuals of various socioeconomic backgrounds should be involved in the process to ensure equity. (2) Timing & Accessibility: Policy makers need to involve the community during the initial planning stages—far before policy changes have been finalized. By inviting civic participation from the beginning, citizens are able to best prepare and articulate their concerns, which allows decision makers to be more in tune with residents. Furthermore, governments can establish informal public forums, like online platforms and mobile apps, so that citizens can participate with fewer barriers. (3) Feedback: The final step is to integrate citizens’ voices into the decision-making process: collect all of the input, foster dialogues by providing feedback, and incorporate ideas into policies when appropriate. Reflexivity is key here, as the public needs to know that their input was at least considered, even if it was not ultimately incorporated into policy. Finally, it’s important to make all communicated language accessible and easy to understand so that the results are clear and comprehensible. By following these steps, decision makers will be perceived as far more legitimate and will be able to better address the needs of citizens. Meu Rio demonstrates that public participation works and that citizens can act even when local governments are slow to do so. Furthermore, the program shows that even small platforms can generate considerable impact. In three years, Meu Rio successfully changed over 50 local policies, some with the active support of 5000 local residents, and others with only five. Programs like Meu Rio legitimize an informal public forum, an online network, by providing a link between citizens and government officials. 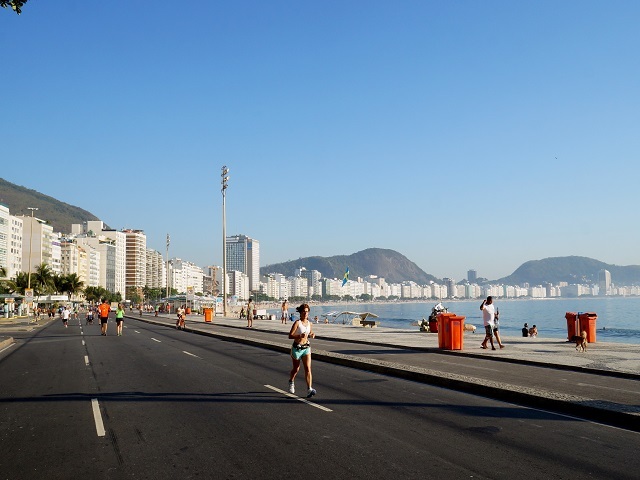 Meu Rio and networks like it are simple models that can be easily replicated in cities worldwide, giving citizens a say in how their city is governed. Effective Public Participation is part three in our series From Ideas to Implementation. To read part one, click here; for part two, visit here.